Conveniently fold down for easy storage. This amazing E-Scooter will have you racing down the streets! Feel the wind in your hair with the Go Skitz Folding 2.0 Electric Scooter. 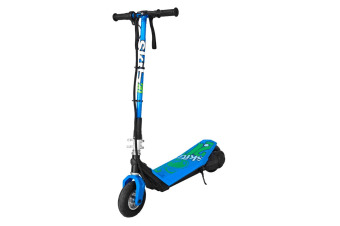 Suitable for young children, watch them power down the streets for up to 40 minutes of continuous use on a single charge. After the adrenalin-pumping ride, easily fold down the scooter and stow it away for easy storage or even pack in the car for holidays. Keep them entertained! This is the ultimate fun for the kids.